Take the "Long Road Home" and decorate your western bathroom with these Cowboy Toilet Seats. 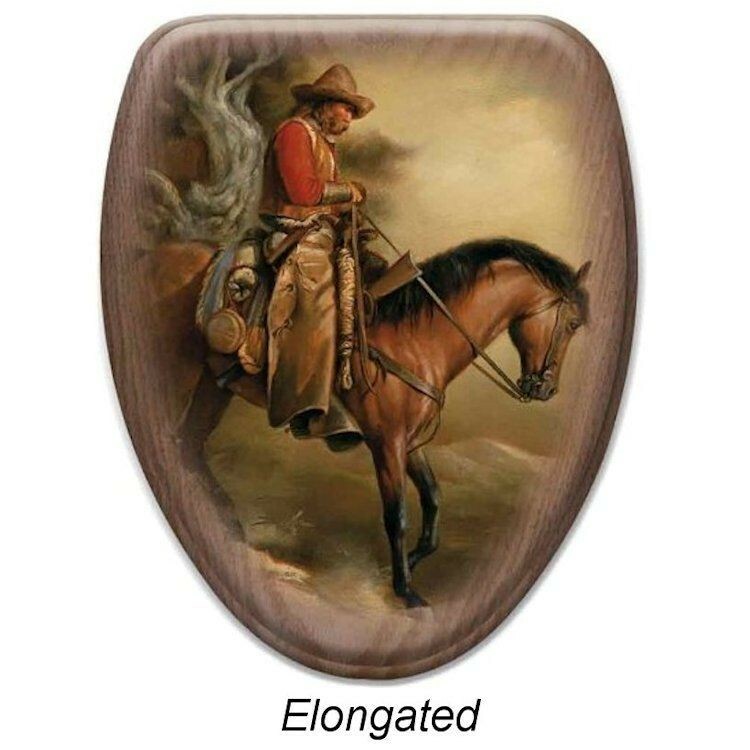 The fade resistant image is directly printed on to a solid oak cover in colors of brown, red and gold. 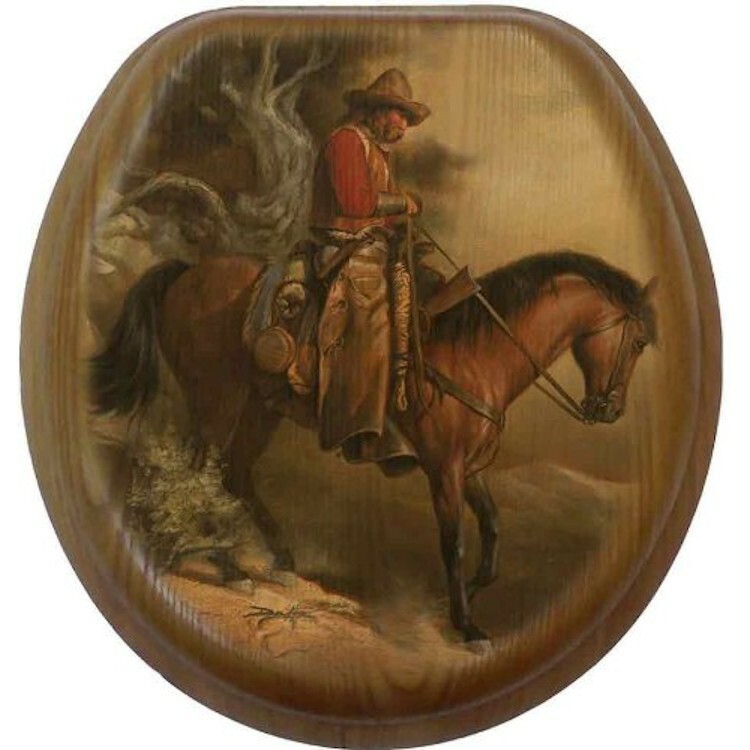 This rustic western wood toilet seat has metal hinges and all hardware is included for easy installation.